Wasn't sure where to post this topic but this seemed like a good place. I have a 12 page script set in Afghanistan. The 8 pages of nighttime can easily be cheated, but 4 pages are set during Daytime. Some daytime exterior scenes call for medium to wide shots. I'm based in New Jersey. 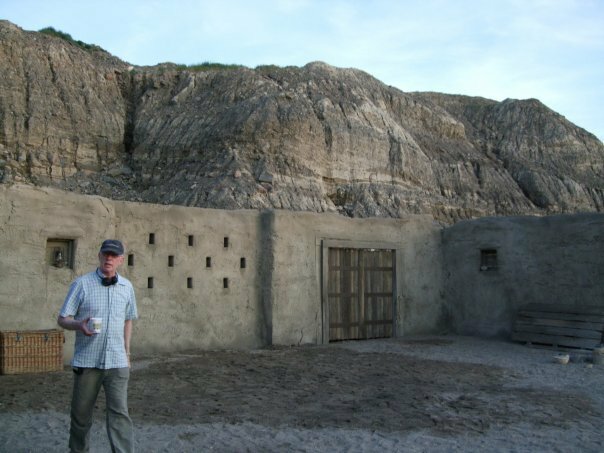 In your expert opinion, what would be the best way to cheat the daytime exterior shots, so I can somehow get the feeling of being in Afghanistan. 1. Shoot in a Quarry (how do i get permission?). 2. Shoot out of state (expensive). I know the ultimate solution is to find a good location to double as Afghanistan. But, if you have any suggestions as far as camera/lighting/other tricks that might be useful, please reply. I would think Arizona or New Mexico would be better than NJ, but if you had to do it in NJ, I would shoot after the leaves fall off the trees to give it a more barren look. But it would be a serious cheat. NJ with leaves looks more lush and not nearly as mountainous as Afghanistan. A quarry will look like a quarry, not Afghanistan. Are cheap tickets to vegas over the film's budget? A friend of mine in Afghanistan sent some photos and it's alarmingly similar looking to the desert just outside of vegas. 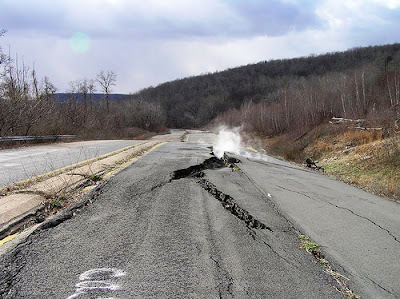 If the story fits, perhaps shoot in/near Centralia PA, where the ground smokes? Aside from that, yeah, someplace like Arizona, Utah, Nevada would be much better-- not so much so desert/sand but scrub-brush. The deserts near Vegas would work. Or Lone Pine, CA. Or some rocky mountains with little vegetation somewhere near you. Needless to say, it didn't work to well being in a heavily wooded area. I guess this can only be fixed by shooting out of Jersey. Well, thank you all for the advice. You need a desolate place with scrub-brush and few trees. An old abandoned industrial complex might work it ... but that depends on what type of Afghan terrain you need. best i can think of 'round these parts. I'm sorry, but I'm from NY, and I laughed so hard reading this title. I grew up in the pine barrens, im not totally sure of the look you are going for. But i have seen desolate sandy areas throughout this area. 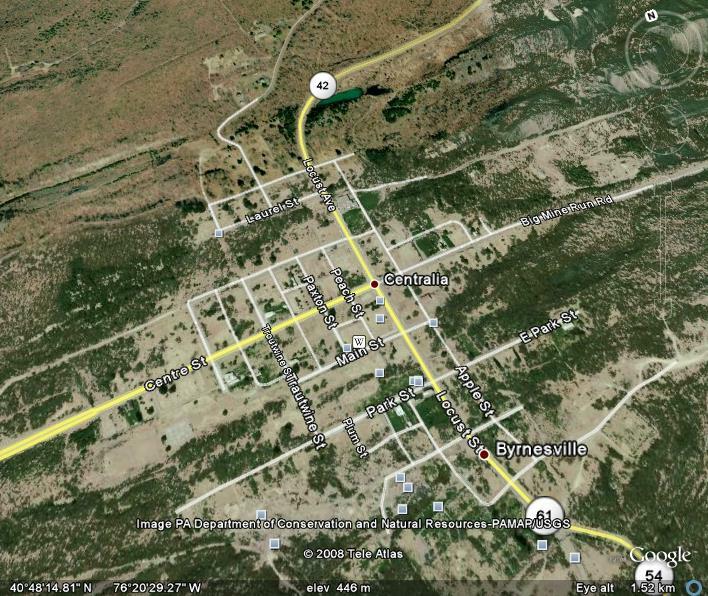 Check out forked river mountain, which also has alot of old desolate clay quarry's in the same area. If i had more time i would try to go out and get some pictures, but the next few weeks are very busy for me. The location pictures you sent me might work well with the right camera angles, lenses, and lighting. Are you a local around that area? There's a different kind of desertous terrain in New Jersey, five-lane highways at the end of every street. maybe you could film at a desolated airstrip, they look the same worldwide and are free from buildings, powerlines. I shot myself in afghanistan in may and it wasn't dry at all, it was raining like hell. landskape near Kaboul is only grey medium mountains, no trees, it's already 6000ft high!! we stayed at KAIA the KAboul International Airport. if you find a military air strip you can cheat afghanistan. You know, now that you mention it, during a dry spell Lakehurst Naval Air Station might pass, with some careful framing. It's close enough to the Pine Barrens to give you the option of popping over to some of the various sand pits as well. Thanks for those descriptions. Airstrip might work. Wanted to check these posts sooner, but was bombarded with work. There's an old Nike missile base in the Watchung Mountains with military style ruins. I remember that base from years ago, as a kid, playing in the area. Just go to Asbury Park! Centralia is a creepy place, and the fumes are toxic as hell. Camp there at your own risk. http://www.eiluxury.com louis vuitton online shop are located in all major cities such as Shanghai, New York, etc, you may travel to these cities and get one for yourself.